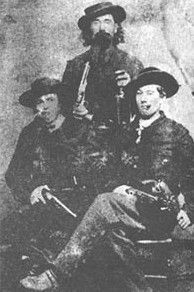 During the Civil War, both the James and Younger brothers had followed William Quantrill’s lead in a band of ruthless bushwhackers, getting a taste for violence in the bitter conflict that wracked the divided state of Missouri. Robbing banks, trains, and stagecoaches for ten years, the gang’s postwar crimes began in 1866 but wasn’t called the James-Younger Gang until 1868, when authorities determined that Cole Younger, Jesse and Frank James were involved in the crime spree. The gang soon became the most famous in America’s history and included numerous outlaw members that fluctuated from one crime to the next. Many of the members of the gang met during the Civil War, most riding with Quantrill’s Raiders. Missouri was a divided state, with most residents supporting the southern cause, but the state actually declaring for the Union. The gang of bushwhackers were involved in a number of conflicts, most in Missouri, but also in surrounding states. Before, during and after the Civil War, both the James and Younger brothers were outspoken partisans for the south. When the war was over, these men who had largely fought in guerrilla bands were embittered and continued to associate with their old war comrades. In the midst of the tumultuous Reconstruction in Missouri, the former soldiers turned outlaws. The first bank to be robbed by the James-Younger Gang was in Liberty, Missouri on February 13, 1866. By Kathy Weiser-Alexander. 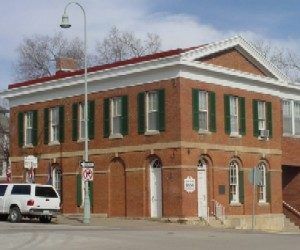 Their first robbery occurred on February 13, 1866, when the gang stormed the Clay County Savings Association in Liberty, Missouri taking over $60,000 in cash and bonds. It was the first daylight, peacetime, armed bank robbery in U.S. history and when the outlaws were making their escape, gunfire erupted and an innocent 17-year-old boy, by the name of George Wymore, was killed. Missouri authorities suspected that a known Confederate guerilla leader named Archie Clement was the leader of the group and soon a price was put on his head. Fearless, however, Clement next led the gang in robbing the Alexander Mitchell and Company Bank in Lexington, Missouri on October 30, 1866, making off about $2,000. Afterward, Clement began to lead the gang in intimidating Missouri residents in order to sway their votes against the Republican Party in an upcoming election. When the Missouri State Militia got involved and he was killed on December 13, 1866. The attempted robbery in Northfield, Minnesota would spell the death of the James-Younger Gang, though a later gang would be formed simply called the James Gang. After taking the train to Minneapolis in early September 1876, the group split up, with one party going to Mankato and the other to Red Wing, on either side of Northfield, Minnesota. 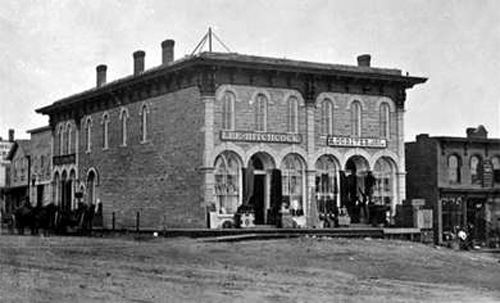 After scouting the area, they attempted to rob the Northfield bank on September 7, 1876. Jesse and Frank James, along with Bob Younger, went inside the bank and while Cole and Jim Younger, Bill Chadwell, Clell Miller, and Charlie Pitts stood guard outside. I found a picture of my great grandfather and on the back it day Frank James Young and in apprentices it has (er) behind it.